In a rapidly changing environment, one of the preeminent keys to making sure your authority thrives and grows is for you, as your authority’s CEO, to take the lead in updating its business model, wearing what I call the “Innovator-in-Chief” hat. Therefore, I’m pleased to share the fourth podcast in this blog’s ongoing series on public transit business model updating, featuring Brad Miller, Chief Executive Officer of Pinellas Suncoast Transit Authority, who describes mobility on demand initiatives launched on his watch. 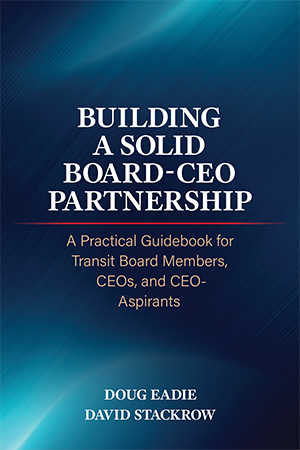 After listening to Brad’s highly informative podcast, you might want to take a look at one or more of the earlier business model posts at www.boardsavvytransitceo.com: May 21 “A Critical Challenge: Updating Your Authority’s Business Model:” https://boardsavvytransitceo.com/a-critical-ceo-challenge-updating-your-authoritys-business-model/; May 2 “The CEO-COO Partnership: Powerful Benefits But a Real Challenge to Make It Work:” https://boardsavvytransitceo.com/the-ceo-coo-partnership-powerful-benefits-but-a-real-challenge-to-make-it-work/; and March 14 “APTA’s Dynamic Leadership Duo Takes on the Mobility Management Issue:” https://boardsavvytransitceo.com/aptas-dynamic-leadership-duo-takes-mobility-management-issue/. The business model concept has been defined in various ways over the years. I really like Joan Magretta’s definition (in “Why Business Models Matter”) of business models as “at heart, stories – stories that that explain how enterprises work.” Magretta observes that a “good business model answers Peter Drucker’s age-old questions, ‘Who is the customer? And what does the customer value?’ ” Knowing PSTA’s customers well in terms of their evolving needs, Brad, wearing the “Innovator-in-Chief” hat, and the PSTA Board have focused on increasing customer value by launching innovative initiatives involving creative partnerships with such on-demand service providers as Uber, Lyft, United Taxi, and Care Ride, LLC..
Are technically very knowledgeable about best practices in the rapidly changing area of change planning and management. Realize that successfully bringing off significant change against all odds requires that he or she make leading the change planning and implementation process a top-tier priority. In practice, this means that the change-savvy CEO makes a firm commitment of time to leading change, and never tries to delegate one piece or another of this leadership role to lieutenants. And recognize that leading major change as Innovator-in-Chief of their authority is more psychological and political in nature than technical. Not only does the change-savvy CEO understand that fear is more often than not at the heart of board and staff resistance to change, he or she also takes strong, visible steps to allay that fear, for example through the clear articulation of vision and other motivational steps that are intended to inspire and energize participants in the innovation process. Brad Miller is an Innovator-in-Chief par excellence. We invite other Innovators-in-Chief to share their experience in updating the business models of their transit authorities. 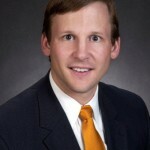 Doug Eadie, president & CEO of Doug Eadie & Company, Inc. (www.dougeadie.com) helps clients build high-impact board-CEO partnerships. What Makes Women Such Effective Board Members? Roger Leaks on How Are You Doing as Your Board’s Chief Governing Partner? © 2019 Board Savvy Transit CEO. Theme by Solostream.